CSI meets Who Do You Think You Are? meets Time Team meets The Antiques Roadshow. Two-dimensional works of art become three-dimensional thrillers. Philip Mould is an international art dealer who has lived the high stakes game of art sleuthing for twenty years. 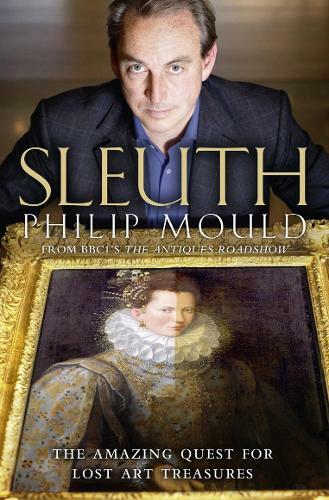 In Sleuth, we encounter the fascinating dealers, experts, auctioneers and restorers who risk fortunes and reputations to turn overlooked artworks into coveted treasures. * Gainsborough's earliest picture emerges in a Los Angeles saleroom - the author has three days to find the missing facts and decide what to pay. * The most powerful man in the art establishment, with the influence to elevate a copy into a priceless original, is asked to look at a 'fake' Rembrandt self portrait: if he says yes a GBP5,000 picture turns into GBP5 million masterpiece. * A Vermont professor unlocks the door of a defunct Catholic church to reveal a hidden cache of 300 portraits. * An auctioneer notices from the upper story of a bus that Damien Hirst's restaurant is being dismantled. He swoops in and sells the fixtures and fittings for GBP13 million. Sleuth is a series of stories which not only reveals the extraordinary culture of detection but the people behind it. Paintings and their discovery become a way into the minds, preoccupations and professions of a raft of influential figures beyond the commercial and museum facade - men and women who have shaped their lives in pursuit of truth and profit through art.